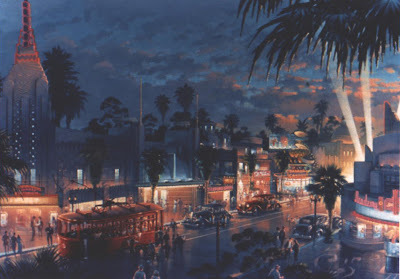 Here are three renderings for the Sunset boulevard at Disney MGM studios in Florida. 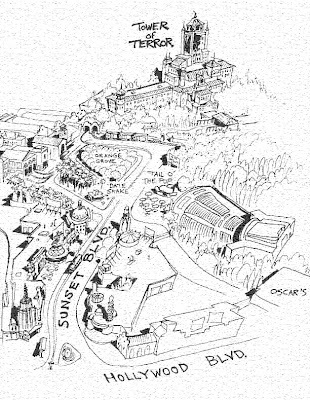 On the black and white one, note the orange grove section on the top left, finally never done. Pirates of the Caribbean " At World's End "